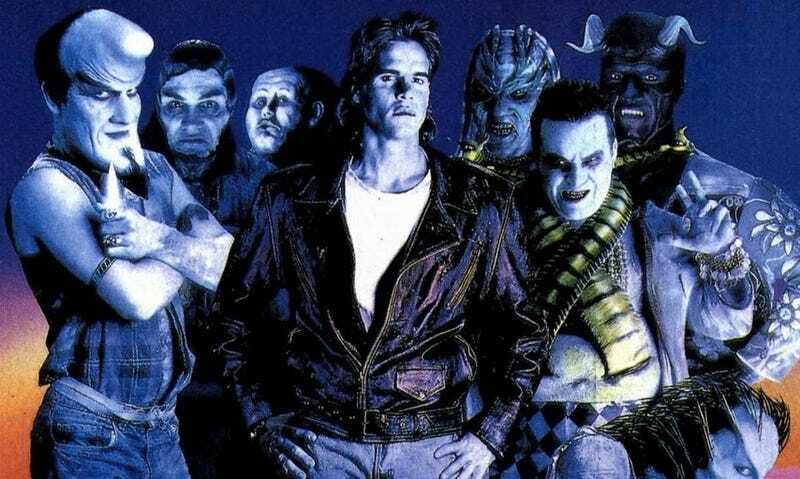 Hot on the heels of the announcement of a Child’s Play series, Deadline reports that now Nightbreed will be getting its own series as well. 2018 is just full of surprises. Syfy will be making this series a reality along with Morgan Creek Entertainment, who produced the original Nightbreed film in 1990. Clive Barker, who wrote the novel Cabal which inspired the film, will also be involved with the series. Josh Stolberg (Jigsaw, Piranga 3D) will serve as writer on the show. Nightbreed explores race relations in America, only the races are Humans and Monsters. It follows a group of underground half-human/half-monsters seeking to find a new refuge and home after their original hiding place is destroyed. Leading these efforts is a recently turned reluctant hero who not only is adjusting to his new supernatural status but also is dealing with the grief and mystery surrounding the death of his fiancée. Will this group band together despite being hunted and persecuted by humans who find their “otherness” to be frightening. This story has been near to my heart for many years … I’m at beyond thrilled that SyFy and UCP are taking this journey with us, and I cannot wait to see it brought to life on the screen. There is no word as to when we will be seeing this adaptation come to life yet, but we can only hope that it is very soon. Nightbreed has developed a cult following throughout the years; this is news that will make a lot of people very happy. Previous article‘Jurassic World: Fallen Kingdom’ Takes a Bite Out of the Box Office!